Shaun was born and raised in Chicago, IL and attended the University of Illinois at Urbana-Champaign, where he honed his FPS skills. Since then he has acquired a wife, two kids, an MBA, and relocated to suburban Atlanta, GA. He realized his love for video games in 1989 the first time he touched an NES controller. He has loved comic books for as long as he can remember. 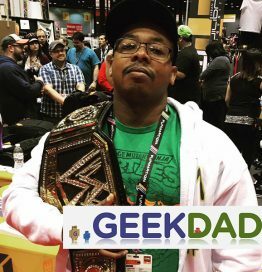 He expanded his geekdom to books, TV, movies, and going to as many conventions as possible. He even started to a podcast network (ETMF Podcast Network) to discuss all the things that he enjoys today.